DBQ Online takes The DBQ Project to a whole new level. 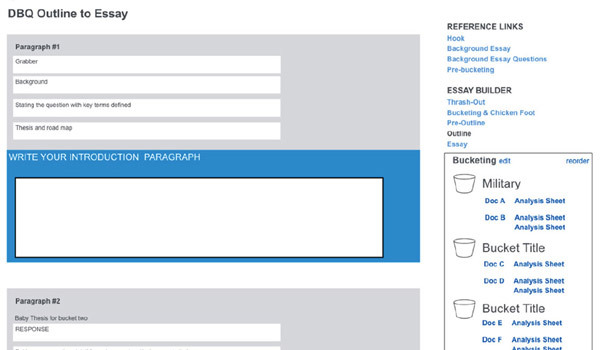 Teachers and students have the tools to read and annotate documents, take notes, organize or “bucket” evidence, and write papers in our online environment. That’s just the beginning. Take 5-minutes to learn more about DBQ Online. 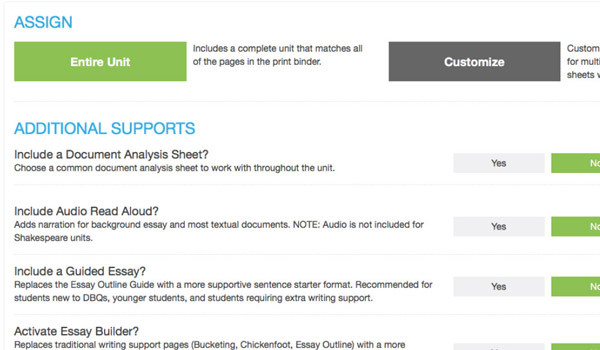 Annotation tools include text, sticky-notes, highlighter, and more. 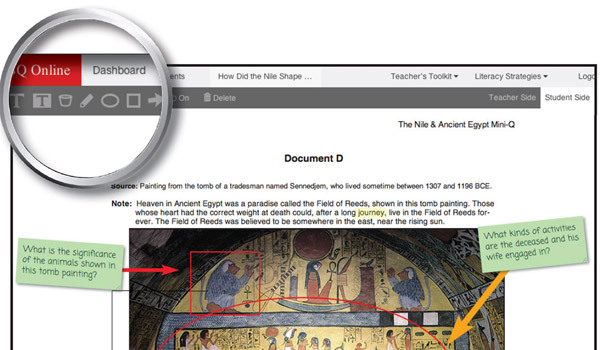 Teachers can model document analysis and close reading, and annotations save immediately for both student and teacher. 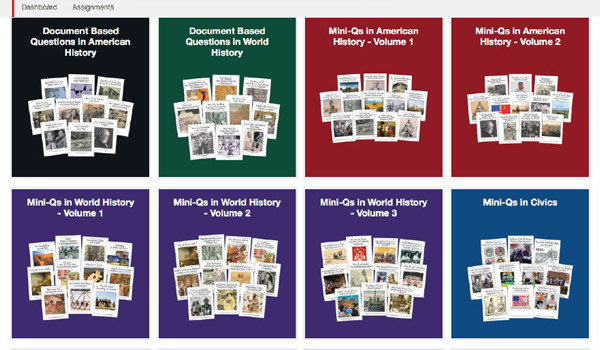 DBQ Online includes our award winning print-based units of study in an upgraded digital format. 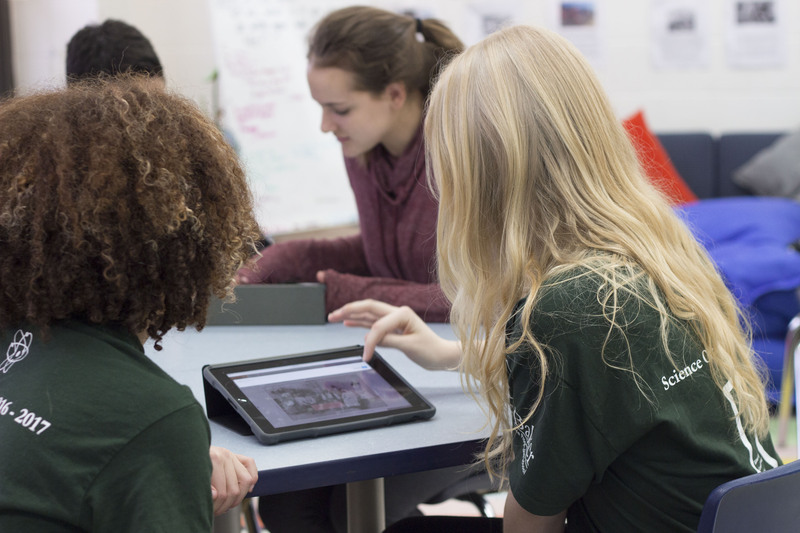 Guides students through a multi-step process for planning and writing. Includes selecting and organizing evidence, developing a claim, bucketing, outlining, drafting, and revising. 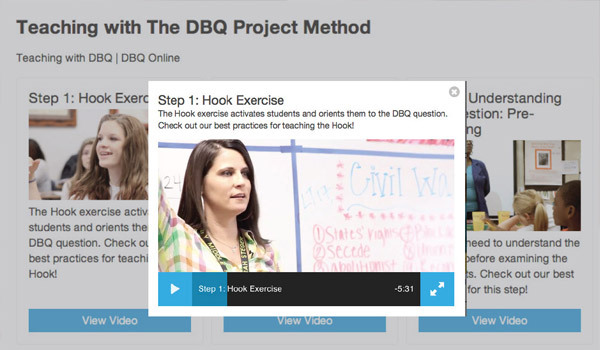 Teachers have access to several videos which provide helpful tips for implementing the DBQ Project 6-Step Method. Videos are 5-10 minutes in length and feature teachers using DBQs in their own classroom. Great for aligning teaching practices within a school and district. 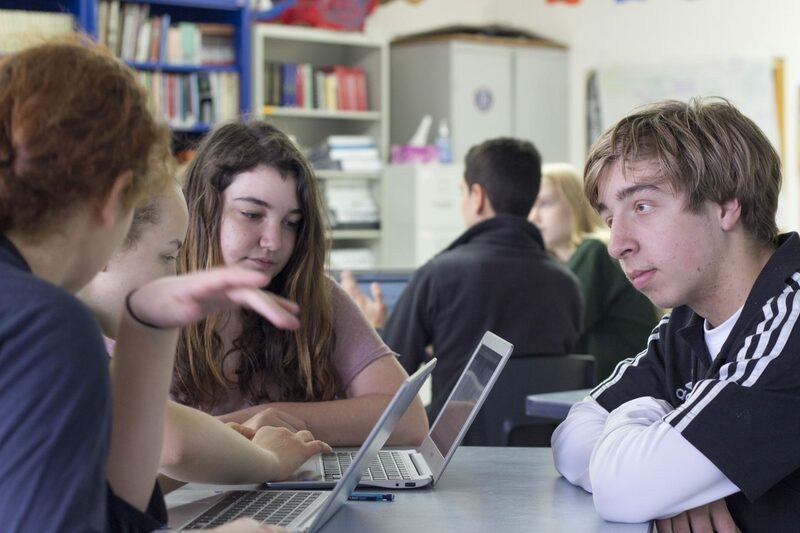 Throughout the process, the DBQ Team works with schools to prep technology integration such as school/district webinars (available upon request). Many districts set up face-to-face PD, especially if teachers are new to the DBQ Project process. 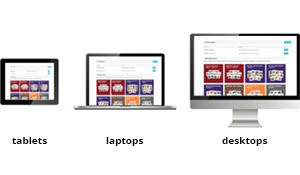 DBQ Online offers a variety of ways for schools and districts to connect with DBQ Online. Integrates with Google Apps for Education, Canvas, Schoology, Clever, Blackboard, Launchpad, Edutone, AND MORE!